February | 2014 | Sonic Smash-Music! The progressive rock crew from Sydney, Australia called Jova have released their widely anticipated debut EP record, “Colours that Will Run.” The album is comprised of five original tracks for nearly a half hour’s worth of listening. A full-bodied, entrancing and passionate listening experience, “Colours that Will Run” serves as a wake-up call for music fans not yet acquainted with the remarkable trio of artists, and an aggressive reassertion of rock ideals which have largely been missing from modern music at large. Jova has been likened to acts such as Queens of the Stone Age, Sigur Ros, and A Perfect Circle. Jova, themselves, cite as main artistic influences Tom Waits and the Mars Volta. Though proudly billed as a prog- rock band, Jova’s darkly towering sound maintains attributes of alternative and grunge rock bands such as Tool and early Stone Temple Pilots, with vocals which fall somewhere between Scott Weiland’s California grunge and Layne Staley’s bluesy drawl. Pounding, warlike drums and electrified, in-your-face bass lines act lead Jova’s music easily as much as their screaming, pared-down single guitar and violently poetic vocal work. Their guitar tone utilizes strong, thick effects which somehow do not occlude the natural sound of the instrument, and Jova occasionally augment this with the eclectic use of a piano, cello bow, or finger playing in the style of classical music guitarists. Having enjoyed and made great use of a regular residency at Sydney’s LiveHouse venue, Jova’s dependably explosive live performances have gained an unshakable reputation that will follow them throughout their career. 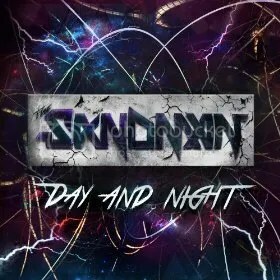 The composer of electronic music known as the Sandman has released his latest EDM dance track, “Day and Night.” The track has been released in two formats, a radio edit and an original version which adds nearly two full minutes of listening to the already spacious digital creation. Largely written in the tradition of contemporary Euro-house music with certain retro additions and a tastefully understated back beat paced at 128 BPM, “Day and Night” is both well named and wonderful to hear, a fine introduction to the Sandman for audiophiles who may not yet have had the pleasure. The Sandman first gained professional fame with his 2012 debut solo release, “Red Power.” He is the co-founder of the production crew publicly referred to as Geneden, which operated until 2011, performing regularly at the famous Trashbags nightclub in Sydney’s Oxford Art Factory. Sandman cut his teeth programming melodies and arrangements for Geneden, as well as overseeing the mastering of their material firsthand. His work with Geneden, along with partner Rob Kingi, garnered him the support of such artists as DJ Antention, Haezer, Redial, and others. Sandman’s first exposure to music was at the age of four, playing violin. He remains capable of playing some of the world’s most famous music, including those of his personal favorite, Johann Sebastian Bach. An accomplished singer as well, the Sandman won the title of City Champion Vocalist of Ping Ding Shan before he was 12 years old, and has since performed at such venues as States Stadium for Chinese New Year for thousands of attendees, the State Premier included. With the release of “Day and Night,” it is clear that the Sandman is only just getting warmed up. Fans around the world are paying close attention to this exciting Eastern composer from Down Under. “Day and Night” by the Sandman is available online worldwide. The MC from New York City known as Kurious Jorge has released his latest hip-hop single, titled, “Delusional.” The track is the most significant official Kurious release since his popular 2012 track, “White Rum.” An upbeat, rock-solid urban anthem from one of the genre’s earliest innovators, “Delusional” shows that the old-school sound is alive, well, and thumping with groove like nothing the new millennium has introduced to date. Kurious Jorge is one of hip hop’s original legends, having begun his professional music career in 1991. He has produced a long list of classic titles with which legions of music fans are familiar, many of which were published on the Columbia Records and Amalgam Digital music labels. Today, Kurious is an independent musician with all the freedom and style in the world. 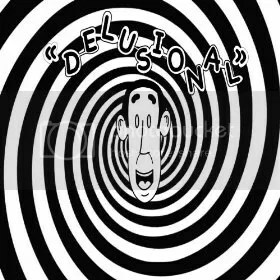 His latest offering, “Delusional,” represents one of the best contemporary rap tracks to grace the music world in years. Music by Kurious is socially conscientious, written and performed at the ground level, a genuine barometer of the situation in America’s streets. Listeners who wish more rap music had something to say beyond braggadocio and empty hype will find that Kurious can spin a phrase like a Shakespearean beat box, and tell several stories at once to boot. His songs inform, communicate, sympathize and often attack deserving targets with a justified ferocity that comes both from his mind and heart. Kurious’ first LP, “Constipated Monkey,” is standard early hip-hop fare. He has collaborated with such notable artists as MF Doom, MF Grimm, MC Serch, Powerule, Pete Nice, 3rd Bass, Max B, Homeboy Sandman, Jungle Brothers, Jamalski, and Sadat X, among a great many others. “Delusional” by Kurious Jorge is available online worldwide. Get in early. 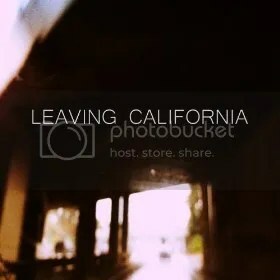 The musician known as Leaving California has released his debut, self-titled LP record, “Leaving California.” The album is comprised of 10 tracks for an approximate total listening time of 45 minutes. A vivid, thought-provoking and contemporary kind of retro album, “Leaving California” is proof that sometimes very good things result from seemingly unfortunate circumstances. Leaving California cites as main artistic influences the early work of Metallica, as well as Depeche Mode, though the former does not figure into the style of his album. The general tonality of Depeche Mode’s signature synthesizer sound, however, is notably present in the comfortable blend of synthetic and traditional instrumentation. Songs such as “Mulholland Drive,” too, evince a decidedly Dave Gahan-ish atmosphere with a great deal of shadowy panache. This analog sound, which laypeople may associate with the warmer, fuller undertones of instruments made before the digital era of music, is fantastically effective in adding complexity and texture to the listening experience. Adding further character to Leaving California’s LP is a songwriting mentality born of the classical music genre. Sad or no, the casual music fan and the audiophile alike have a work of great artistic integrity in LC’s self-titled record. “Leaving California” by Leaving California is available online worldwide. Get in early. The host and DJ of “the Only Salsa Music Program on FM Radio in Scotland,” FrankieGee, has released his new LP record album, titled, “Explosión de Salsa Vol. I.” The record is comprised of 10 authentic salsa music tracks for an approximate total listening time of 45 minutes. It has been released on the Frankie Gee Entertainment LLC record label. An astounding triumph of international relations through music, “Explosión de Salsa Vol. I” showcases some of the greatest salsa music being produced in the world today, and is possibly the most important salsa compilation of 2014 to date. FrankieGee cites as main artistic influences a star-studded roster which denotes his obvious passion and highly developed musical taste. Some of his favorites include Barry Rodgers, Arsenio Rodriguez, Ray Barretto, Mongo Santamaria, Willie Colon, Frankie Ruiz, Hector Lavoe, Papo Lucca, Roberto Roena, Cortijo, and Ismael Rivera. Since that time, FrankieGee has returned to New York, from where he webcasts his famous salsa radio show at 3pm Eastern on Friday, 6pm on Saturday, and 5pm on Sunday. 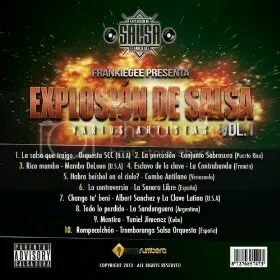 FrankieGee’s “Explosión de Salsa” stands as clear proof that the effort is strong, passionate, and wildly successful. The scores of musicians featured on his record come from a wide array of countries and cultural backgrounds. To catalog their individual geographies and histories would take months. Fortunately for music lovers all around the globe, “Explosión de Salsa Vol. I” is available online worldwide. Get in early. The singer and songwriter known as Julia has released her debut pop single, “So Sick.” The track has been released on the AMK and Mama Said Entertainment record labels. A heartfelt, genuine window into the soulful emotions of this up-and-coming entertainer, “So Sick” is at once the anthem of a young modern American woman and a startling introduction to one of today’s most intriguing musicians at the very start of her artistic journey. 16-year-old Julia cites as her main artistic influence the work of Beyonce, followed by Demi Lovato and JoJo. While her characteristic warmth and energy are unmistakably her own, elements of each of these may be noted in “So Sick.” Like Lovato, Julia plays guitar and writes her own material, making songs such as this debut single even more compelling. She has been developing as a musician in a variety of ways since the age of six. “I write my own songs and I can write for hours,” she says. 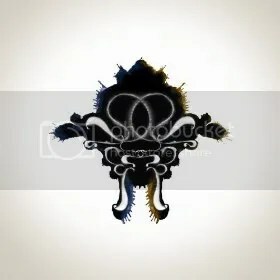 She admits also that many of her themes derive from personal experiences. Julia’s music is more than mere entertainment, too. Her meticulous lyrics reflect a mind bent to communicating and connecting with people in good times and bad. Her upcoming full-length record, “The Origin,” will showcase her as a compassionate, yet indomitable artist with both the heart to see pain where it is felt and the strength to lend her voice in opposition. Following the release of her debut LP, Julia’s current project, “Danger,” will also become available for listening and purchase worldwide, proving that she isn’t just a quality performer – she’s also inspirationally prolific. “So Sick” by Julia is available online worldwide. Watch for her debut LP, “The Origin,” and her sophomore release, “Danger,” both due out in 2014. 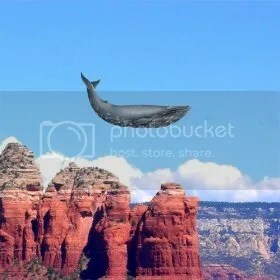 The indie rock crew from East Texas known as 3weeksplay have released their newest LP record, titled, “Electronic Whale.” The full-length album is comprised of 10 original tracks for an approximate total listening time of half an hour. It is the most significant official release from 3weeksplay since their “The Moon and the Tide” LP hit online outlets worldwide in September 2013, making “Electronic Whale” the second full-length 3weeksplay record to reach their fans in less than six months. 3weeksplay cite as main artistic influences a broad range of alternative rock, indie rock, and classic rock legends. Among the most notable are Radiohead, Deftones, Pixies, Kings of Leon, Pink Floyd, the Killers, John Mayer, Tom Petty, MGMT, and Smashing Pumpkins. Their own sound, while taking certain elements of each of these greats, remains their own. Lo-fi undertones, combined with striking songwriting and undeniable instrumental expertise combine to make a remarkably accessible, yet absolutely unique album. The sound of “Electronic Whale” is not easy to find under any other name. The band share creative duties during their songwriting process, with each member having a say in what goes in and gets taken out. Each writes on their own time, too, bringing his personal taste and style to the collective whole. This lends a large degree of texture and movement to “Electronic Whale.” Its tracks can be surprisingly different from one to the next, though always with the consistent timbre that alerts the listener that 3weeksplay is definitely still on the stereo. What is more, their entire catalog showcases this versatility. With more than 60 official songs now available for sampling and purchase online worldwide, 3weeksplay are very much in their prime as they begin 2014 at a full-tilt run. “Electronic Whale” by 3weeksplay is available online everywhere. Get in early.